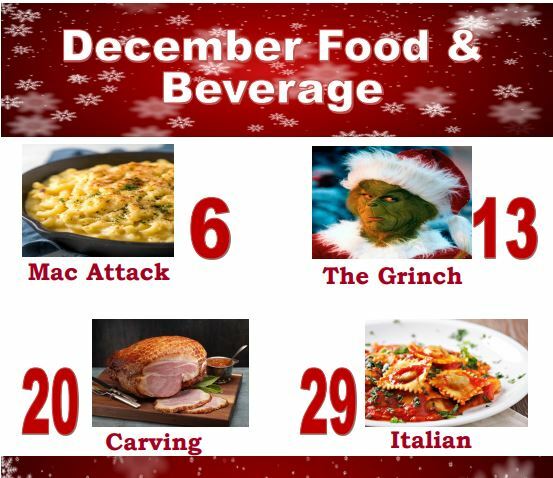 Join us for festive comfort food during December. It's a great way to celebrate the holidays with family and friends. December 13- The Grinch Buffet- Eat like the citizens of Whoville. Enjoy such delectable items as Roast Beast!